Take control of attachments in Apple Mail (beta). Is there a better alternative to Attachment Tamer? Is Attachment Tamer really the best app in Email category? Will Attachment Tamer work good on macOS 10.13.4? 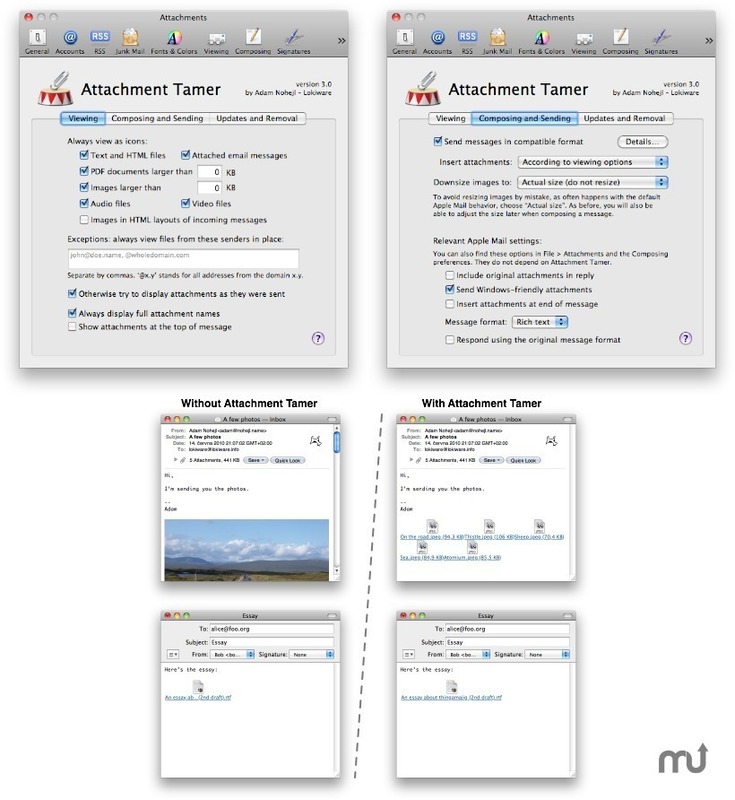 Attachment Tamer gives you control over attachment handling in Apple Mail. It fixes the most annoying Apple Mail flaws, ensures compatibility with other email software, and allows you to set up how attachments are displayed and sent. Pre-release build for OS X 10.9 Mavericks. Ignore if you do not plan to install OS X Mavericks. Attachment Tamer is a free update for all registered users of Mail Attachments Iconizer, and provides all the functionality that Iconizer has provided.